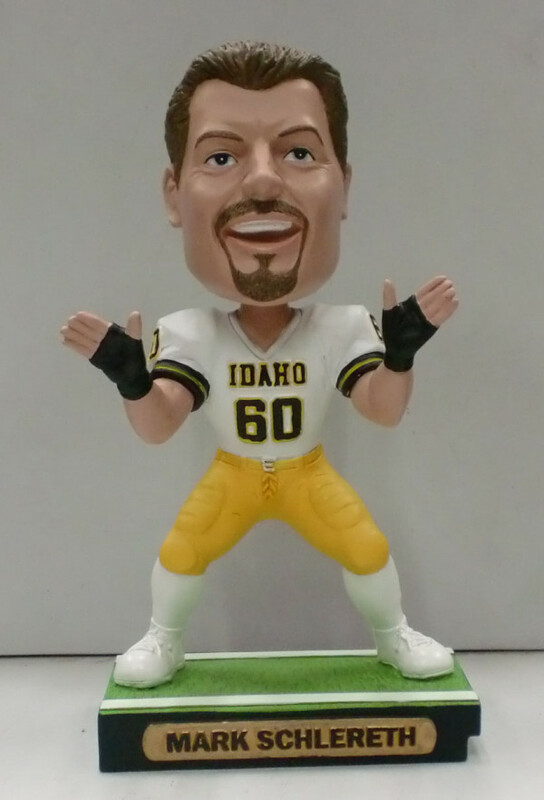 Fri., June 3, 2011, 12:11 p.m.
Former University of Idaho/NFL football star (and current ESPN sportscaster) Mark Schlereth now has his own bobblehead. The University of Idaho is rolling out a bobblehead figure of three-time Super Bowl champ-turned ESPN analyst. "It's fitting that the school that gave a kid from Alaska an opportunity to play football and get an education is also giving me my first bobblehead," said Schlereth in a statement. More here. Question: Which bobblehead figures do you have? Posted June 3, 2011, 12:11 p.m.